Nothing strikes more fear into the heart of a writer than a blank sheet of paper, whether it’s a real sheet of paper or that big blank rectangle that Microsoft WORD has just put on my screen right now. No ideas? No worries! Here is a plan for 30 ideas in 30 minutes. You can use these ideas to generate your own writing prompts. If you are an expert on something, it is easy. Write about whatever it is you are expert on. In my case, I’m not an expert on anything that the general public would be interested in. The next best thing is to be a dilettante—be interested in a lot of things. The internet is a wonderful research tool which can provide you with enough information to be an expert on any subject that catches your interest. As a blogger (I have five blogs) and they all need to be “fed” at least once or twice a week. I also write for HubPages and I want to post to that site at least two or three times a week. Additionally, I occasionally need to write for traditional publications and sometimes I need to write a speech. That’s a lot of writing and it requires a lot of ideas. Where do I get ideas? What is your relationship with ideas right now? 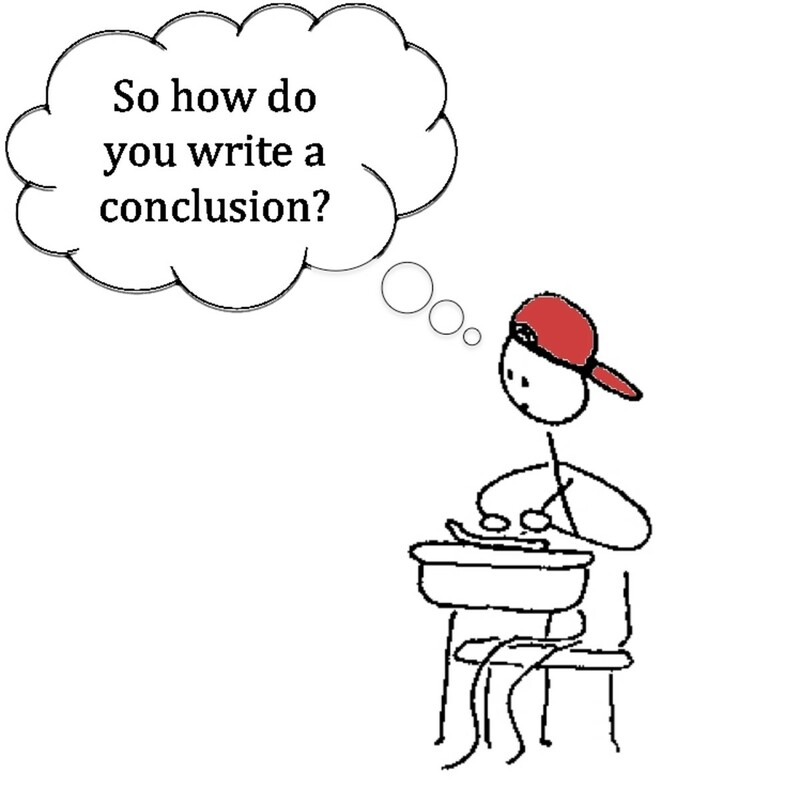 Do you have difficulty coming up with ideas for writing articles, essays, hubs, and/or papers?? It's a great love affair--I always have plenty of good ideas. It runs hot and cold--I'm sometimes stumped for good ideas. I think we are getting divorced--It's very hard for me to come up with good ideas. A university professor of English and successful writer pulls back the curtain on the magic of idea generation and reveals the wealth of writing inspiration right in front of you. Get ideas from the newspaper. Read the newspaper. Flip through the newspaper from front to back and jot down the ideas. The newspaper gives you lots of topical things to write about which is fine if you are writing for a news outlet. However, we all know what happens to yesterday’s news. I want my posts to be “evergreen”—something that will have value next month, next year, and ten years from now. (The internet is forever.) I will take today’s news and find an angle that will be useful as more than the answer to a trivia question in the future. Last Sunday I read the newspaper and came up with these ideas. It was the January 11, 2015 edition of the Orlando Sentinel. 4. There was an article about population growth in Florida. This one is great for a humor piece. My idea: Twenty-Five Reasons You Don’t Want to Move to Florida. I’d start with hurricanes, pythons in the Everglades, alligators in your pool, George Zimmerman lives here, and heat waves in December. 5. There was an article about good marriages bringing a happiness bonus. This could be the basis of a serious article or maybe a humorous one. My idea: How a Good Marriage Helps You Be Happier and Live Longer. 6. You can even find ideas in the advice columns. “Dear Amy” had a letter from someone complaining about table manners. It gave me this idea: It’s Never Too Late to Learn Table Manners. 7. Even the funnies can bring ideas. In the Sally Forth strip, there was mention of feeling a little blue after the holiday. My Idea: Kick the Post-Holiday Blues. Get ideas from television and movies. I review television shows on one of my blogs. Not one of my best ideas because television and movie reviews have the half-life of a dish of ice cream left out in the sun, but I was new to writing on the internet when I stated the blog and I didn’t know any better. Now, I keep it up just because I like doing it. I’m lucky that outlets like Netflix keep old television shows somewhat relevant. The Affair is a Showtime drama that won the Golden Globes for best drama and best actress. People will always be interested in adultery. My ideas are not necessarily unique, but perhaps I could come up with a fresh slant. 10. The 20-Year Itch: Why do People with Strong Marriages Sometimes Stray? 11. Political Careers Destroyed by Affairs. This one came from the TV show, but also from the news. I just saw a TV news story about how General Petraeus, who had previously resigned from his position as Director of the CIA because of an affair, may now face prosecution for giving his mistress classified documents. The Theory of Everything is a great movie about Stephen Hawking, a brilliant astrophysicist who suffers from ALS, a debilitating disease that has left him totally paralyzed. As a young man, he was given only two years to live; he is now in his 70’s. Eddie Redmayne, who portrayed Hawking in the movie, won a Golden Globe for best actor in a movie. 13. Stephan Hawking’s wife was his caregiver. So many people these days are caregivers, often for their elderly parents. My Idea: How to Survive Caregiver Burnout. A professional editor explains how to get ideas and what to do with them once you get them. Get ideas from your life. 14. I belong to a discussion group. A few weeks ago, we had a discussion about longevity. The leader talked about how laugher is associated with long life. I wrote a hub: How to Live Longer by Acting Like a Kid. 15: I subscribe to a free newsletter written by an editor for writers. The editor mentioned lipograms, a form of word-play where a text is written without the use of a certain letter. I wrote a hub, Word Play: What is a Lipogram? 17. My friends are beekeepers. I learned a lot about bees from them–enough for several articles. Get ideas from what others have written. 18. Recently someone complained in the HubPages forum that he didn’t have any ideas for things to write about. This article is my response to his complaint. 19. Someone mentioned in a hub about holidays that everyone hates fruitcake. I have a great recipe that I have developed for a fruitcake that people who hate fruitcake love. My idea: The Fruitcake Recipe that Everyone Loves. 20. Someone mentioned that it is hard in today’s world to be ethical and still earn a living. Her observation led me to write a hub on the topic; Right Livelihood: The Quest or Ethical Work. I discovered that right-livelihood is part of the eight-fold path of the Buddha. I had heard the term “right-livelihood” before, but I didn’t know where it came from. Now I want to write about the other seven paths, so I will count those as ideas 21 to 27. 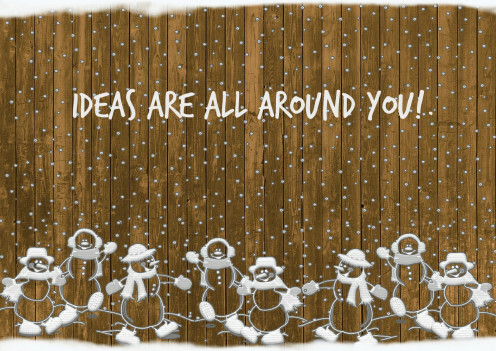 Ideas are all around you. You just have to stay alert to them. 28. A Blizzard is Coming: Are You Ready? 29. Fun Things to Do When You Are Snowed In. 30: How I Survived the Great Blizzard of (fill in the year). Substitute hurricanes for blizzards. Substitute earthquakes or forest fires. You get the idea. I haven’t even touched on your hobbies and interests. Do you collect something? Tell us about your collection and how we can collect that thing also. Do you make something (jewelry, needlework, wood carvings)? Tell us how to do it. Do you do something (bass fishing, gardening, cooking)? Share your knowledge and experience. Is there something you want to know more about? I had a grammar question, and that led to my popular series of hubs: The Naughty Grammarian. If you don’t have any ideas, sit down right now and don’t get up until you have 30 ideas. I just did it. Be sure to write your ideas down. 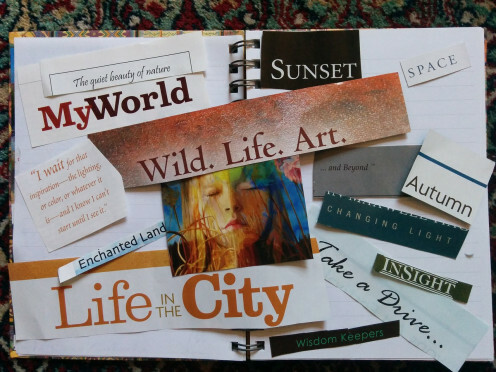 Keep a folder, actual or virtual, where you can stash ideas as they come to you. This is important--you will forget them if you don't write them down. P.S. I call dibs on these ideas. In fact, I have already started to write some of them. These are my ideas, given as example--now get busy and think up your own. Writer's Block? This will unblock you instantly. I hope I inspired you. I have a whole folder full of ideas right now. I wish I could find the time to write them. Very useful. We all need to supplement our ideas from time to time and another person's input is very useful, I think. RonElFran: Writing this sharpened my observations. I see more ideas than ever. I hope my hub will have the same effect on you. Thanks for commenting. This is good inspiration to be alert and not mentally lazy. Good ideas for writing topics abound, and you've helped us to see them more clearly. I'm like you... I see ideas everywhere. Do I want to write about them all? Not necessarily, but if I don't grab a sticky note to write them down when they flash in, my "elder" memory erases them pretty quickly. Your hub has many great suggestions on how to prime the idea pump. Wow! The best compliment I could get is that you were able to put my advice to use and you wrote a piece because of it. Thank you do much for letting me know. Now, I have to try to find it and read it. I am impressed with how you are able to pull ideas from the world around you. This is a skill I need to cultivate. I'll have ideas but getting them to paper is another story. I've found this helpful and I've even written an article inspired by your piece. Your very welcome, enjoy your day. Rayne123: I'm glad you found my ideas about how to get ideas helpful. Every writer needs writing prompts once in a while. I appreciate your comment. Thanks for your comment, peachpurple. Magazines and newspapers are great resources. I just clipped an article from the newspaper on a topic that should make a great hub. liesl5858: Thanks for your comment and for voting up. In my hub "How to Write: Quotes from Famous Writer on Writing" I use this quote: "Everybody walks past a thousand story ideas every day. The good writers are the ones who see five or six of them. Most people don’t see any. ~Orson Scott Card" My goal here was to help people not walk past the story ideas. Rayne123: I presented some ideas for how to generate ideas when you don't have ideas. some people have an abundance of ideas, but we can all feel stuck sometimes. When that happens we just have to be open to the des that are all around us. Thank you for this hub Catherine, now I get it where I get some ideas on what to write about. What a great hub and thank you for sharing your ideas to us. Voted up. Another good hub, although I did read it quickly, I pretty much was able to get what was said here. (I will read it through even more, as I myself need ideas) anyway yes there are so many places/people/things to get ideas from. So many inspirational people out there that can help at the same time. I just write on my thoughts at the time or like you mentioned your true life story and put it into words. I am not a professional writer either, however even an author or a professional will get writers block at some point in there lives. Its like a musician, no matter how long they have been writing and recording, comes a time when they draw a blank. Sometimes its best to walk away and start afresh. Inspiration from others and making it your own always pays off to be good. Not only do you learn about the person that inspired you, but it makes you a better writer. Once again, so many performers have had another performer inspire them, and then they take what they learn and make it their own. Thanks, poetryman6969. Even people with plenty of ideas sometimes need to prime the pump. I hope my hub helps. You have created an excellent resource for those afflicted with writer's block. Trish: I wanted to add that as a parent you have dozens idea every day everything about your kids can lead to a hub. e.g. "10 Questions to Ask Your Kids Teacher," "What to do When Your Child Lies", "Rainy Day Activities to Keep Your Kids Happy," "25 Reasons I love Being a Mom", How to Get Your Kids to Eat Broccoli," etc. Thank you Thish, I'm glad my hub was able to raise your enthusiasm for writing again. It's hard when you have kids and a job. What keeps me going is I have so many ideas. I just have to get them on paper. I appreciate that you took the time to read and comment. Hi Catherine. I joined few months back and was addicted to hub pages for few weeks. but that momentum stopped with my kids work and was very lazy to start it again. But this article is encouraging and and its so amazing how great you come up with an idea just by anything. Another terrific hub of yours. good work. Voted high. Iris: Like you I have so many ideas that it is frustrating. I only have time to do 2 or 3 hubs a week and my list only gets longer and longer. Writing this hub about 30 ideas gave me some new ideas to add to my list. I write about one idea and add three to the list. I know some people would love to have our problem, Iris, so I will stop complaining about having too many ideas. I wrote this for the people who are sometimes stumped for ideas. In some ways I wish this was a problem for me. My frustration is that I have more ideas than time. Both sides of that coin are bothersome. But hopefully I will get to the point you've talked about, and when I do I will revisit these excellent ideas. Thanks Grensleeves Hubs. I'm glad you found my ideas useful. Once I have an idea and I decide to write about I almost always have to do research even if it is a subject I know a lot about. Questions always come up and I have to get the answers. Thank you for commenting. Very useful Catherine as a guide on how to use your eyes, your ears, and most of all your brain to pick up on events, and things you see or hear or experience, to generate articles. Many would require further research to make them into good hubs, but for many of us, it is coming up with the initial idea which is the biggest problem. It's easy to understand, using your examples, how there are a whole host of subjects out there just waiting to be written about. heidithorne: Thank you for commenting, voting up, and sharing. What works for me is keeping a list of ideas. I always have at least ten. I will find one of those ideas is in my head a lot. I have stated to write it in my head. So I sit down and start writing it. 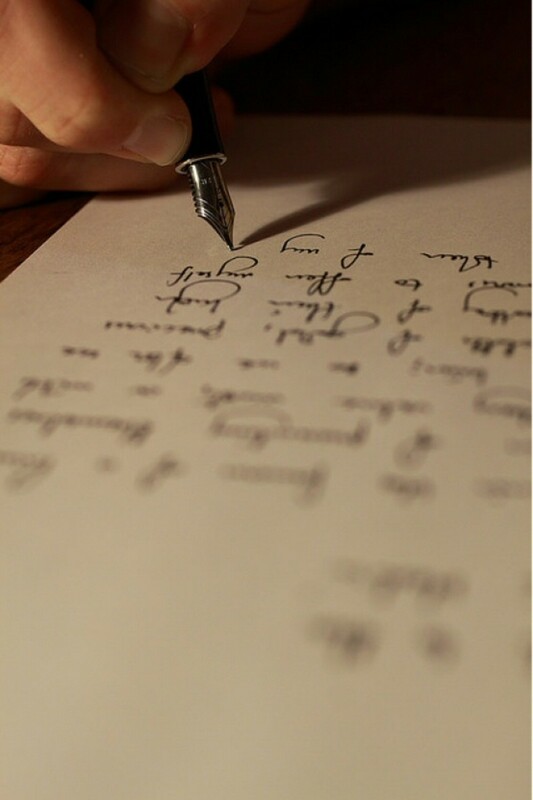 As most writers will tell you, once you start writing, the piece takes on a life of its own. It writes itself. And then you edit. Peachpurple: Magazines are an excellent source of ideas. I did a hub about the jobs of U.S. presidents before they were president. I got this idea from an article that was used as filler in magazine that came with the newspaper. The author did a sentence or two for about 20 presidents. I chose six pivotal presidents and did a detailed description. venkatachari: Thanks for commenting. I hope my ideas have inspired you. Blogging is great. I get to put my opinions and ideas out into the world for others to find. I hope you keep up your blogging. You never know when you may touch someone. venkatachari: Thanks for commenting. I hope my ideas have inspired you. Blogging is great. I get to put my opinions and ideas out into the world for others to find. I hope you keep up your blogging. You never know when yu may touch someone. Thanks Dream On. I hope you can use some of my ideas if you ever have writer's block. I'm one who has a lot of ideas, but sometimes need focus on what ideas will work best. Great tips! Voted up and sharing! 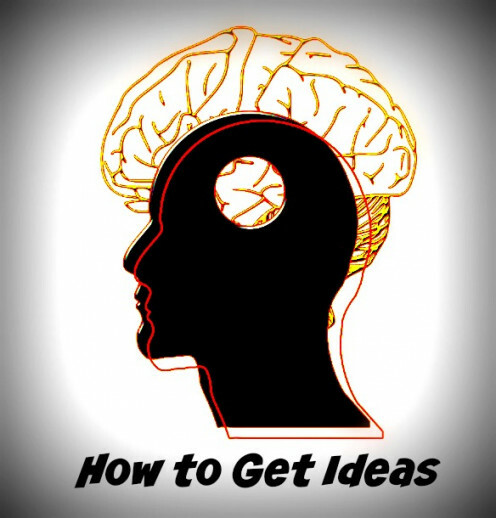 Very useful and interesting tips for writers to get ideas. I also keep 5 blogs but two are neglected and one is only for storing my newspaper comments. So other are for lifestyles/ social problems and finance/ economic topics which are regular. What interesting ways to create fun hubs.Have a good night. Thank you, CriSP: Like you I have more ideas than I have time to write about them. I was using these idea generation tools without really thinking about it. But now that I have identified the tools and can use them consciously, I have 10 times more ideas. It's very frustrating when I have so many ideas that I can't write about them all. Sam Montana: The news is a great source for ideas. You just have to see past what happened today and write about the big picture. Thanks for your comment. FlourishAnyway: Thanks for voting up and sharing. These ideas aren't rocket science, but for those who have trouble coming up with ideas, it may give them a technique to generate ideas. as you say, the key is free association. kannanwrites; Thanks for reading and commenting. Good read and voting up. Great ideas. Some of my best articles came from watching the news and learning about new "problems", that are still with us today. I do this too! It's frenetic free-association idea-craziness based on whatever seems to be going on around me at the time. I never have a problem with what to write about. You have done such a superb job with this hub as you explain where and how to get ideas all around you. I know it will help others. Voted up and more and sharing! I never had so to say a writer's block but your hub has given me a reason or a topic for further learning. And that is Buddha's eight fold path. Off to read that as well. MsDora: Thanks for voting up. Indeed, the things in our lives can give us many ideas if we just take notice of them. So nice to hear from you. sometimes, you can start writing in the middle; you don't always have to start with the beginning. Voted Up! Thanks for this very practical lesson. Some things happening in our lives create more interest than we imagine they would. We just have to write and see what happens. Ghaelach: You are right about needing to have confidence. The first step is to grab hold of subject you like. Write it down. Think of ways to spin it. Write these ideas down. For instance, if you like the show TV "How to Get Away with Mur4der." You could get these ideas 1. Black actresses on TV shows then and now. 2) Famous Unsolved Murder Crimes 3) Careers in the Legal Field 4)Hooking Up at the Office. 5)Murder Fantasies--How I would Kill so and so. (Make sure this one is clearly humor--you don't want the FBI on your doorstep. Unworkable methods are best-like get some kryptonite. On second thought, maybe this one isn't a good idea.) 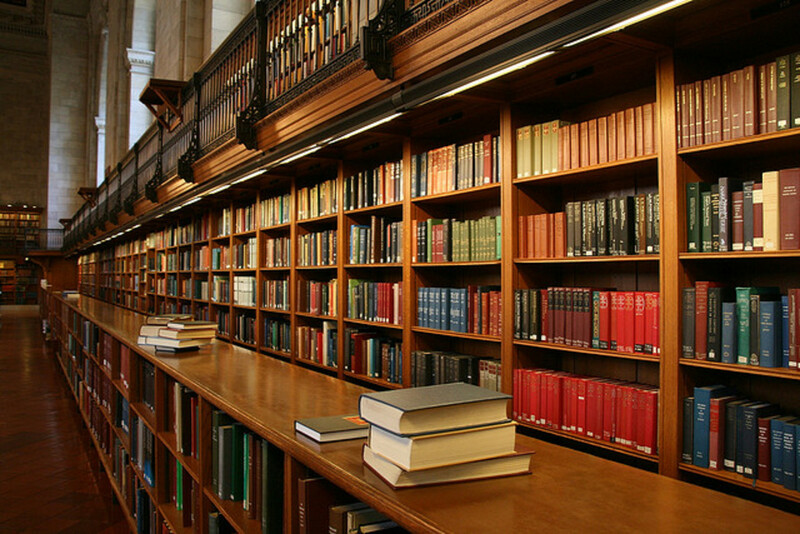 6) The Ten Best Murder Mystery Novels. Now wait a few days. Which of the ideas do you find yourself thinking about? Choose that one and start writing. You might have to do some research to flesh out your own thoughts. If you write it and don't like it, let it set a few days, then come back to it. Thank you so much for sharing. Good luck. I be you can come up with 30 ideas. of your own. I wouldn't like to count how many times I sat back in front of my lap top last year and couldn't find anything to write about. Sounds stupid "Couldn't find anything to write about" Think I had the so called Writers Block. The truth of the matter is/was that I didn't have the confidence to write about the ideas that I did have. Many of your ideas you mention in this hub I find super and will, with a little help from up stairs, put into practice. Thanks for sharing and so will I. Thank you, ChitrangadaSharan for your kind comments. I'm glad you like my ideas. I appreciate your up-vote. Very interesting and useful tips! Writing this hub is again a great idea on your part. Thanks for sharing! Voted up. tillsontitan: Thank you for voting up and sharing. I'm glad you enjoy my hubs. I'm retired and so can spend a lot of time writing. It is so nice when my hubs help others. missirupp: Take a look at the video. It is actually a good idea to write "garbage." At least you are writing. One of these two miracles will occur. 1. You will find that you didn't write garbage and it is actually pretty good. 2. You will see that you did write garbage, but now you see how to fix it. Yes, I got my ideas through reading newspapers, listening to the radio and those you have mentioned above. Well done! Thanks for the tips. billybuc: It is clear that you never run out of ideas. You have several new hubs every week. You don't need any prompts. I have plenty of ideas also. Writing this gave me even more. Well it's easy to see why you have so many interesting hubs, you're a go getter. Just reading about all the writing you do was amazing. Way to go girl and thanks for sharing. Voted up, useful, awesome, and interesting. Thank you Fire8storm. I don't work fast. It took about 8 hours to do the Ideas hub. (On average it takes me 6 hours to do a hub.) This took extra long because I was unhappy with the pictures I chose and spent time modifying. I deleted them and started over. I finally decided to use amazon capsules to break up the text instead of pictures. I always spend almost as much time on pictures as I do on the text because I want good-looking graphic design. Maybe that is another idea for a topic to do a hub on. It is very kind of you to vote up and share. I bet 100% of the time the fear of writing garbage is my block. This is a wonderful Hub Catherine, so very inspirational. I am going to save it so when I have an idea / motivation slump I can re-read to give me a boost. I am most impressed by your output, you have 5 blogs and your Hubpages where you are producing good solid articles on a regular basis. I have two accounts and currently appear to slowly plod between the two. I need to organise my ideas and learn to write quicker I think! Voted up, useful and shared. Great prompts, Catherine. I'm lucky...I never run out of ideas...yet...but I'll keep this handy just in case. Thank you, seraphic. Watch the video. It shows you have to get rid of those negative thoughts. When I get stumped, it makes me feel useless! Thanks for the tips! Voted up!